Two hot shots of Reggae and Rocksteady, two old Symarip tracks which Roy Ellis wrote back in the 60’s which have been recorded again in 2012. This Mr. Symarip new single, has been recorded in Spain, powerfuly backed by the Transilvanians, and mixed by Roberto Sanchez at A Lone Ark Music Studios. 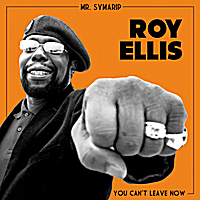 His starting in the showbusiness was leading bands in the 60’s like The Bees, The Seven Letters and The Pyramids, but the success came with Symarip in 1969 selling over 7 millions of copies with the ‘Skinhead Moonstomp’ album for Trojan Records, introducing the Reggae sounds in UK and the rest of the world.